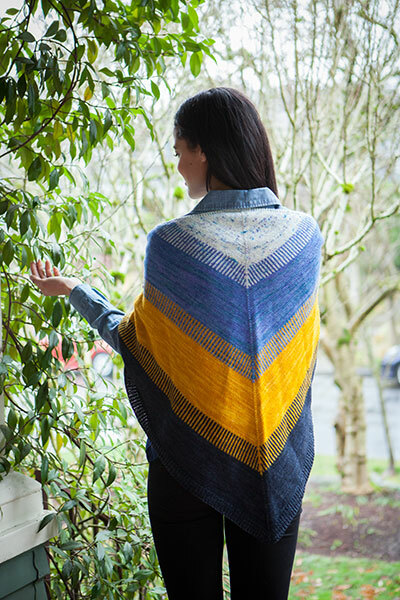 The word ‘Koloreak’ comes from the Basque work for colours and reflects the colorful nature of this brilliant and generously-sized shawl. 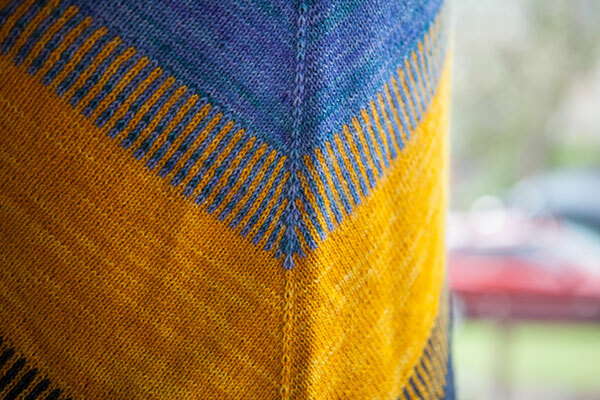 Perfect for exploring your favorite colors from across the Hawthorne family, each block of color transitions to the next by a simple two-colored stranded section, making this an interesting project to knit and to develop stranded knitting skills. 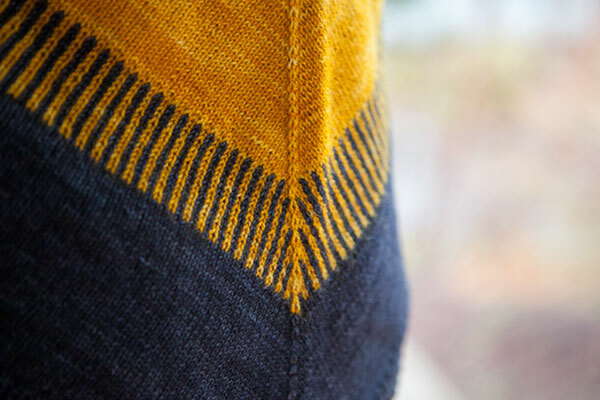 Koloreak is a traditional triangle shawl in stockinette stitch with a garter stitch border, starting from the top with a garter tab cast on.